Remodeling the townhouse is coming along, and here's an update. 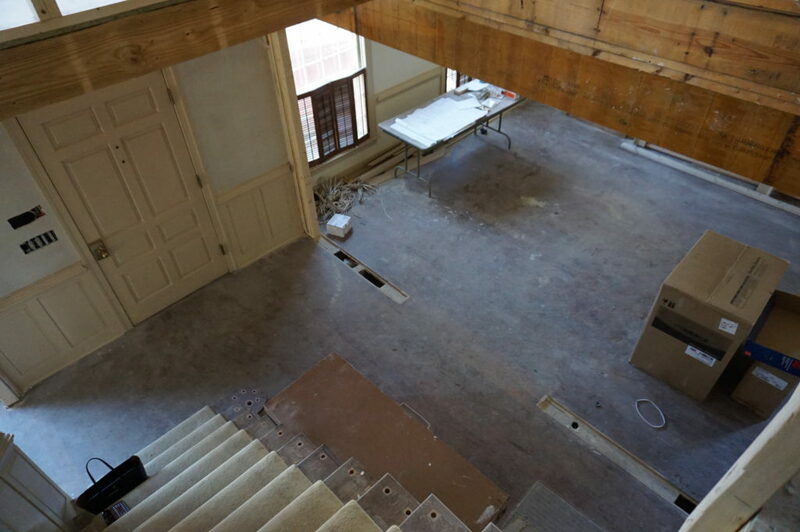 It’s been a while since I updated you on the progress at our new townhouse. To read what this is all about, go here.Things have been moving slowly because we had a few changes that required the approval of the historic commission. Our new house, even though it was built in 1980, is in the middle of a historic district. Actually, it’s in the same one that our previous house was in. Since we are doing extensive remodeling and making some structural changes, they have to approve any changes that happen outside. For instance, they had to approve our new windows. Their requirement was that the mullions have to be on the outside of the glass instead of between two pieces of window glass like most modern windows. To me, that means it will take a lot longer to wash the windows because I (or our window cleaners) will have to clean each pane separately. Now get this – they don’t care which colors we use on the exterior. I could paint the front door to look like a zebra (don’t worry, I’m not), and they don’t care. However, the mullion has to be on the OUTSIDE of the window. When you are driving past a house, what do you notice – the window panes or the front door? I mentioned before that we are knocking out a wall to add an addition to the old family room that will become the new kitchen. That wall has a fireplace which will be removed. However, there is a fireplace in the master bedroom right above it. Our structural engineer was concerned that the new steel beam will be compromised because of the weight of the fireplace on the second floor. Since we didn’t love it in the first place, Mike and I decided to have the master bedroom fireplace removed, too. Our master is not huge, and the fireplace was off-center, and it just bothered us. Removing those two fireplaces meant that the heavy chimney needed to go, too. 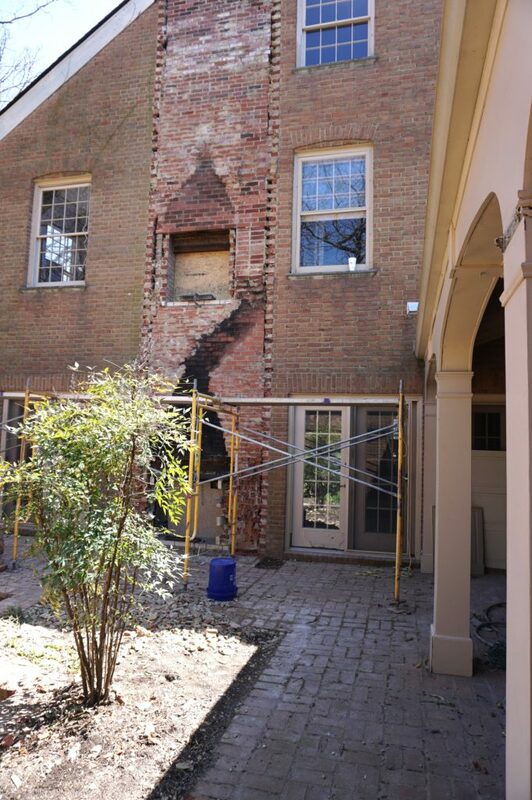 Two men spent two weeks on scaffolding to take down that chimney, brick by brick. I felt so sorry for them. Meanwhile, the hysterical historical commission decided that we have to rebuild a fake chimney where the old chimney once stood. We had to wait several weeks on them to meet for their monthly meeting and officially make that declaration. So, once the addition is added, then our builders will have to construct a wooden box and put bricks on it that will look like the chimney. It won’t be a working chimney but will give the appearance of a working chimney. I should mention that this will all be BEHIND our brick wall. I know their requirements protect me when one of our neighbors wants to do some remodeling. It keeps people from getting too crazy with their designs. I get that, but I just wish common sense would rule. Everything else is progressing smoothly. 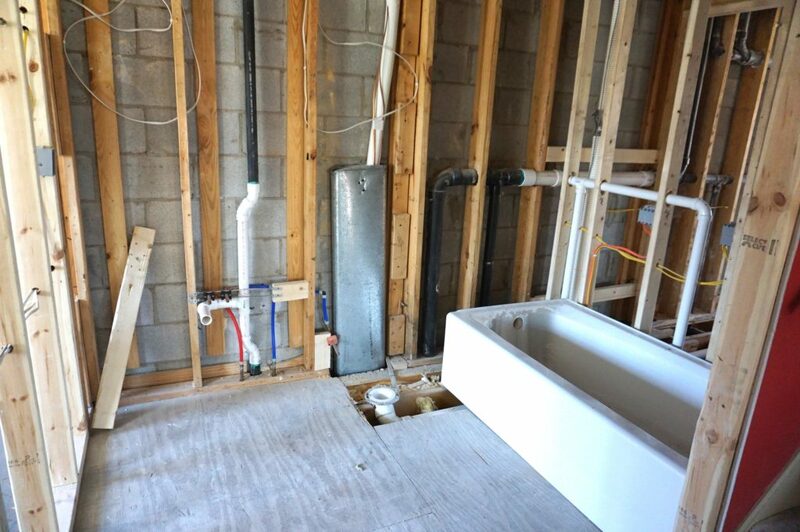 We are replacing all of the plumbing and electrical, and those tradesmen have been working steadily. We are getting all new doors, and all of the doors on the first floor will be seven feet high. (I have a very tall husband.) So, all of the doorway frames are being adjusted to accommodate them. All of the framing is complete for the interior wall changes we are making. 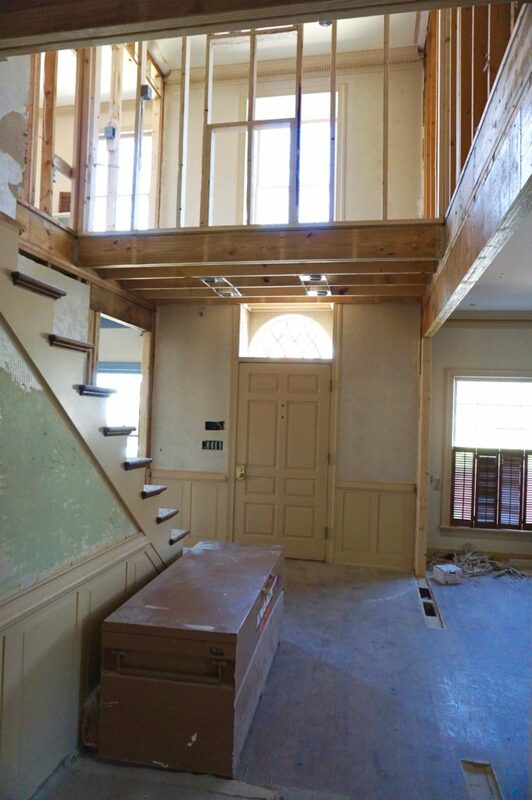 We are also replacing all of the crown moulding, window frames, floor moulding, and we have selected it. The new windows for the entire house arrive today, and they will be put in this week. Then we will insulate and start the dry wall. The kitchen design is complete, and the cabinets have been ordered. The bathroom tile is all in. The closet shelving designs have been approved. We have selected all of the hardware, which will be a Baldwin Brass style that is similar to what we had before. Also, all of the faucets, etc. have been selected. The hardest decision on any construction project we have ever done has always been the lights. I really don’t look at lights so we are using recessed lights as much as possible. I have selected the large foyer light for the townhouse entry and am second-guessing that decision. I am a person who can make a decision, and second-guessing something just unsettles me. I still have to select the bathroom lights. So, that’s our townhouse construction project recap. 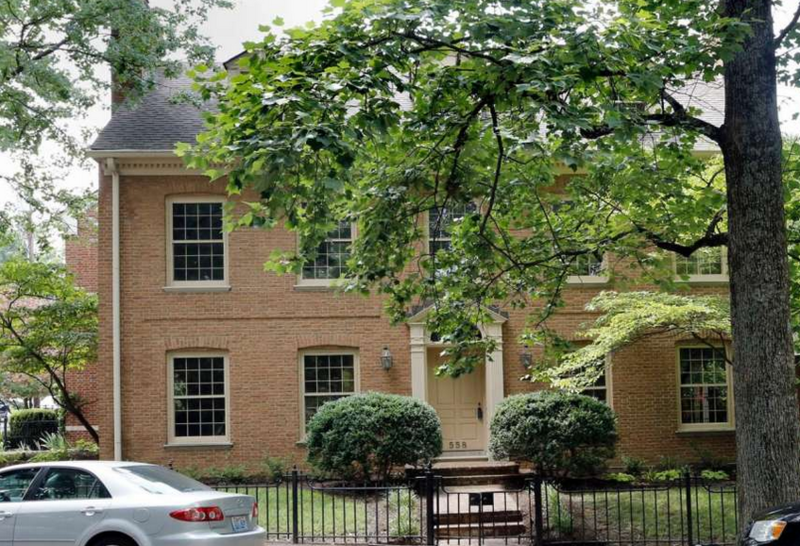 Our builder said we are building a new house inside an existing brick exterior, and we are. As soon as the windows are in, things will start moving faster. I don’t know if we are going to meet my personal move-in deadline. Mike thinks we will, but I don’t want to rush the process just to meet a deadline that I pulled out of a hat. One more thing. I saw this sink on a blog post Jordan wrote, and then I saw it in a store this week. It is quite pricey, but for a brief moment, I thought it might look great in the powder room. 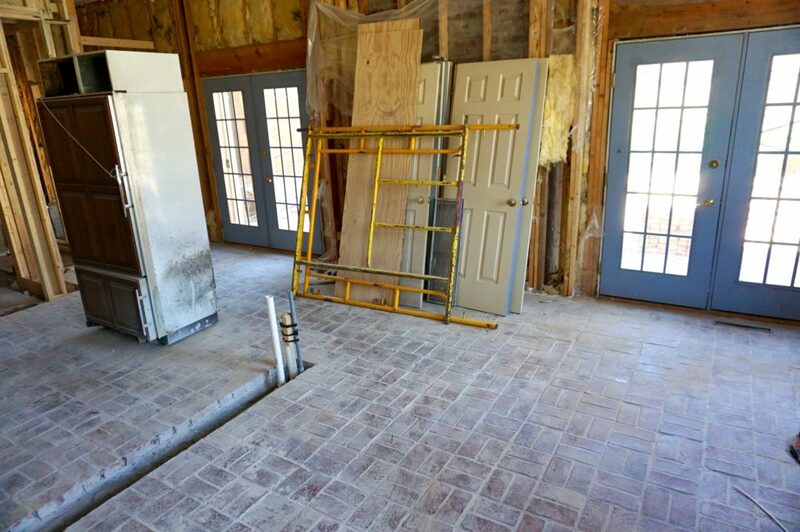 There’s space for it, and if we are going to buy it, now is the time before the drywall goes up. Knowing our love of bicycling, what do you think. Yes or no? I wouldn’t want to clean it every week, do you?. 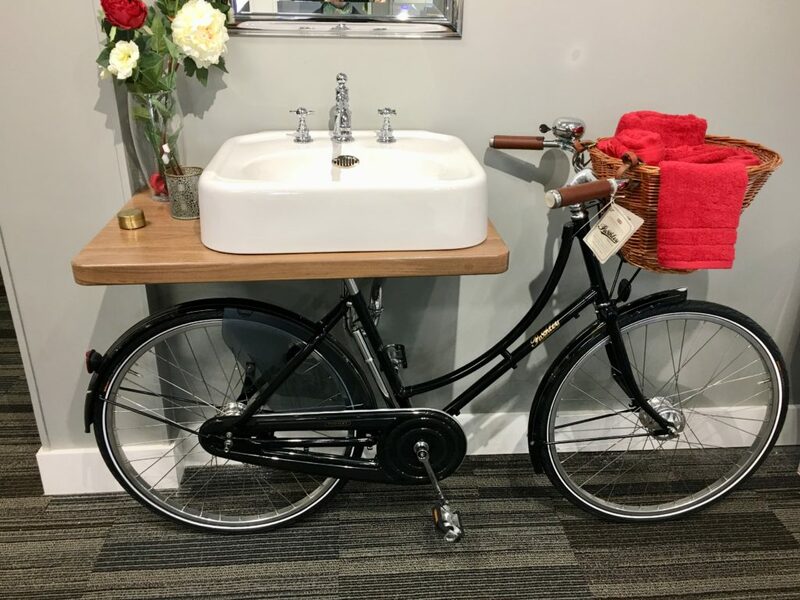 As tempting as it is, I would not purchase the bike for your bathroom. I think the novelty will wear off and you will tire of it. Also cleaning it will become challenging. Am in awe of all your changes and visions. Can’t wait to see finished product! I love following your posts and now seeing the townhouse coming together beautifully. I think the bicycle sink is fun and quirky, but you will tire of it. I agree with the comment by Michelle, I would not want to clean it. No, not crazy about the design. It looks top-heavy for the bike and I agree that it’s something you’d get tired of. Easier to update the cosmetic aspects of a bathroom, rather than the main fixture! I love hearing from y’all and getting your thoughts on this! Not a selection or purchase I would make! Would tire of the design in time and cleaning it would be a nightmare! So No for me. Thanks for your input, Linda! I would like to add to the above comments that the bicycle might detract from a resale at a later time. I love your blog and read it every day! No. Looks like a DIY. And the rest of your seems to be going in an elegant direction.. have fun with something else. It is unique but doesn’t fit well with the lovely classic colonial design of your new home. Nay is my vote. Chimney on our renovation in Athens to accommodate an entry to the powder room, thank goodness our HX committee hadn’t heard of the fake chimney “fix”. Also, windows couldn’t be touched, any storm window glass had to be on the inside. That said. I love our new old home. But getting to here required a lot of Jumping thru hoops. Good luck on the rest of your project, it Looks beautiful. I like the direction of your new home. Looking good! It is absolutely adorable but I agree with the others that you might get tired of it after a while. It sounds like your home is going to be just beautiful once everything is finished.